(Santa Fe, N.M.) – Earthships are best described as otherworldly, ethereal ... and while they may be stationary, they are powered through the elements by which they are surrounded. These eco-friendly dwellings, made of discarded items such as automobile tires, bottles, beer cans and metal, might not be the first thing that comes to mind when you think of vacation. However, a growing interest in sustainable travel has secured them a starring role in the latest New Mexico Tourism Department video. 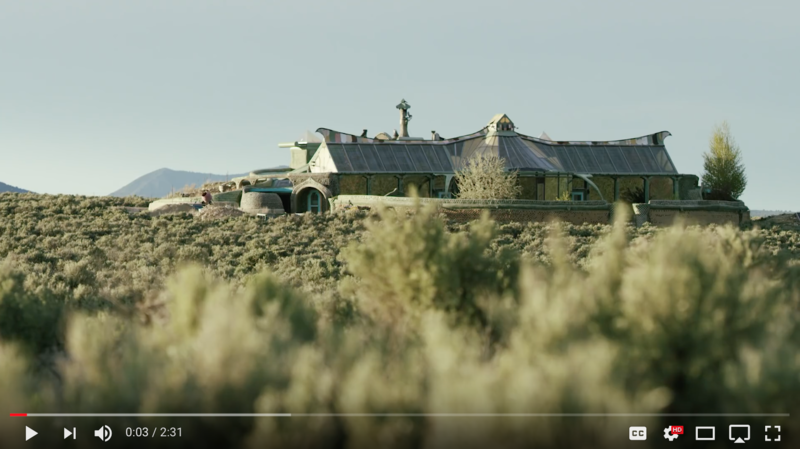 “Earthships,” the 13th video in the New Mexico True Stories series, features these one-of-a-kind homes that employ unique design principles that blend to create a sustainable living environment. Each earthship is designed to collect water, produce electricity and grow food. Taos, New Mexico is home to the Greater World Community, the world’s only subdivision of earthships open to visitors for tours and overnight stays. Sustainable tourism is a niche that encompasses travel experiences with a minimal impact on their surrounding environment and culture. According to a recent study by Mandala Research, 60 percent of U.S. travelers have taken a “sustainable” trip in the last three years. These travelers spend, on average, $600 more per trip, stay three days longer, and bring higher benefits to local communities including job creation, giving-back and volunteering. Phil Basehart, an earthship foreman and resident of the Greater World Community, narrates the video. “The earthship concept is all about taking care of human beings without pulling from anything outside of the house itself,” said Basehart, who also leads a student volunteer program and teaches others about the benefits of this particular lifestyle. Since its social media debut on Monday, “Earthships” has been seen and shared in more than 40 countries. The video, along with travel information on visiting and renting an earthship within the Greater World Community, can be found at NewMexico.org.